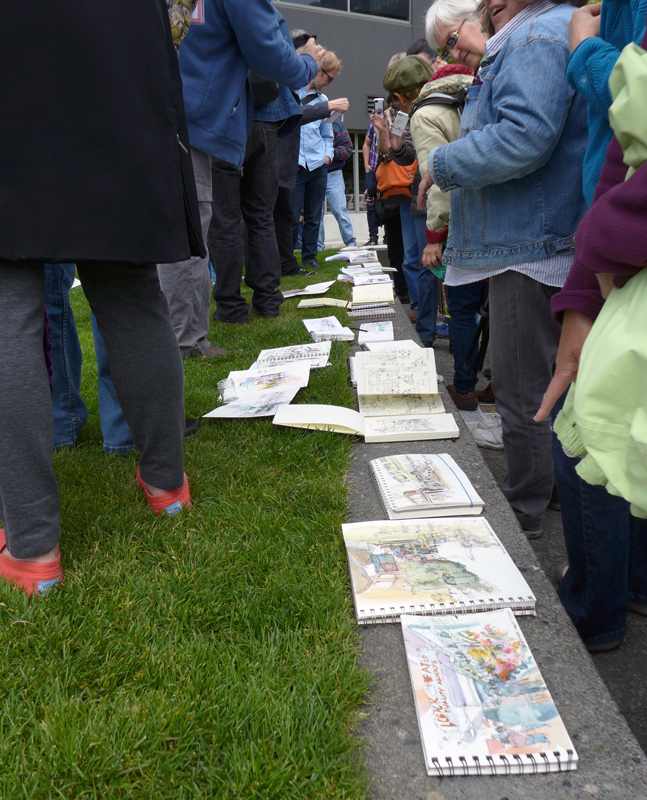 I thoroughly enjoyed teaching with Gail Wong and working with the 25 participants in the Line to Color workshop this past weekend. 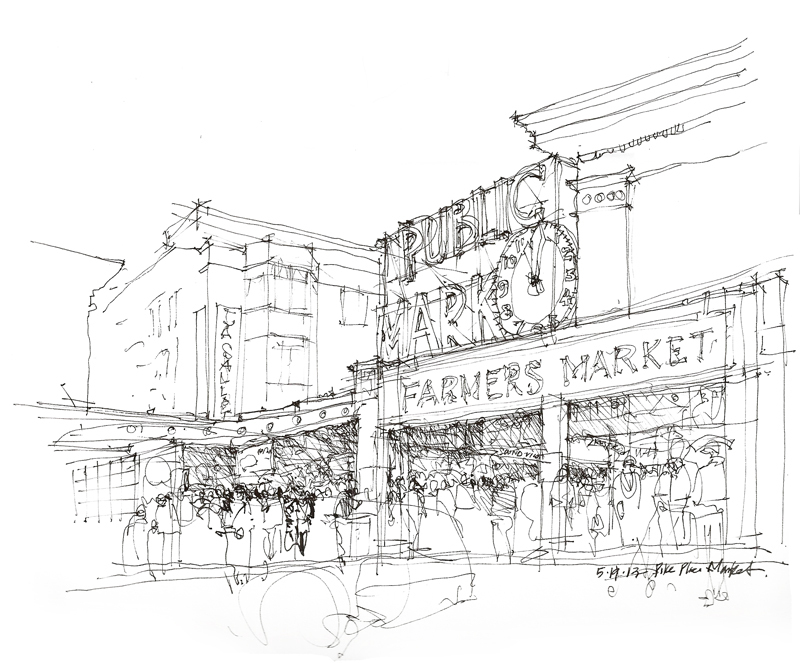 Beginning with a brief sketching session and pizza dinner on Friday evening, working all day Saturday in the Fremont neighborhood and at Gasworks Park, and then meeting up with the Seattle UrbanSketchers group on Sunday morning at Pike Place Market—the past three days have left me tired but also exhilarated by the energy and warmth of the group and their willingness to try out different approaches and techniques. 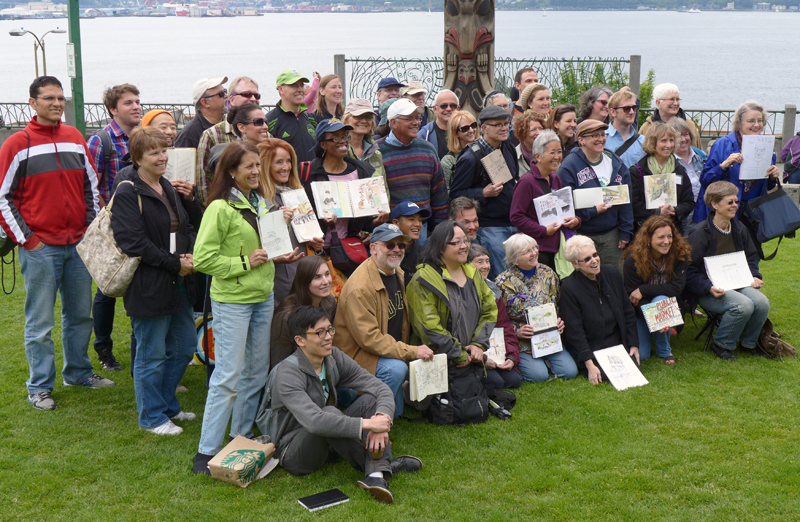 Above is the sharing of work at Steinbrueck Park and the obligatory group photo, which includes not only the workshop participants but also members of the Seattle UrbanSketchers group. 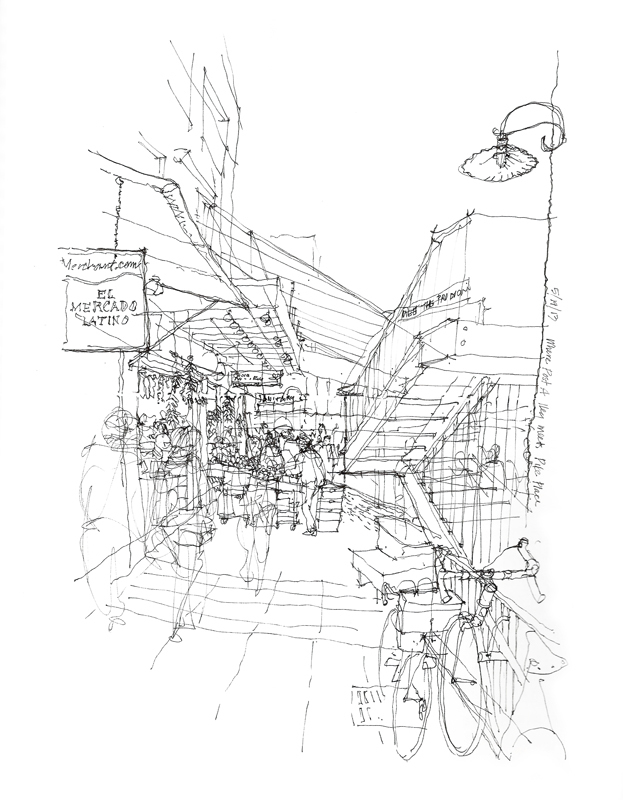 While I didn’t have a lot of time to sketch during the workshop, I managed to get to Pike Place Market a little early on Sunday morning to capture this view of Post Alley, and at the end to sit on the curb and quickly sketch the iconic market sign.